When a single place comes to mind for lunch, going out on a Friday night and entertaining company, it’s a winner. That’s Gnat’s Landing of Statesboro. 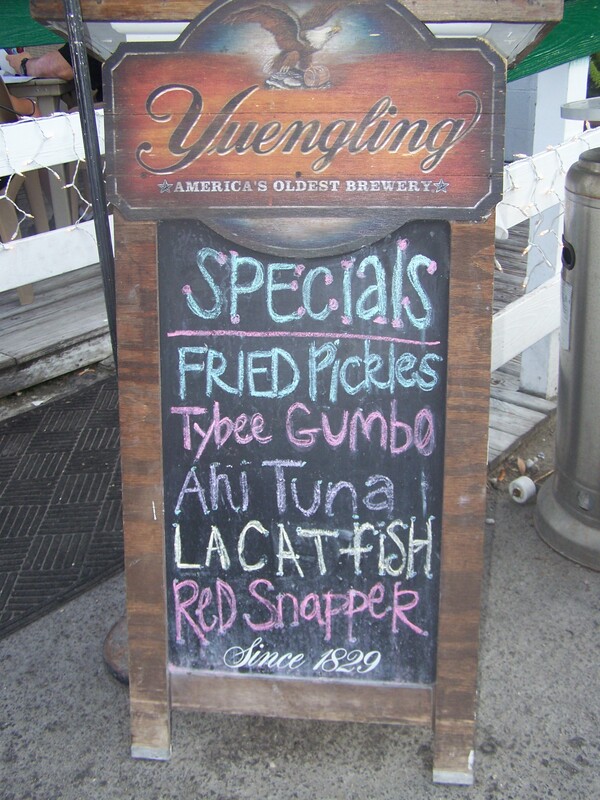 The versatile bar & grill is family friendly and college town worthy. It’s a natural choice for lunch before a Saturday afternoon football game in the Eagle Nation, or place to catch a good band and go out dancing on a Friday night. It’s that hometown joint you can hardly visit without running into someone you know. Christmas lights year ’round. Live music every weekend. Beer can and chicken wire decorum. What’s not to love? 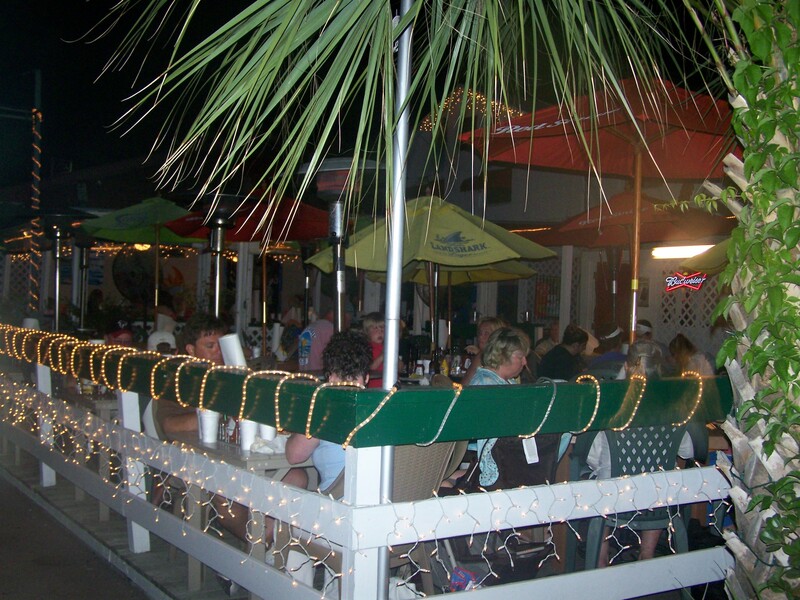 The local favorite boasts a wide selection of American food with a Southern, coastal vibe in a casual and bright atmosphere. 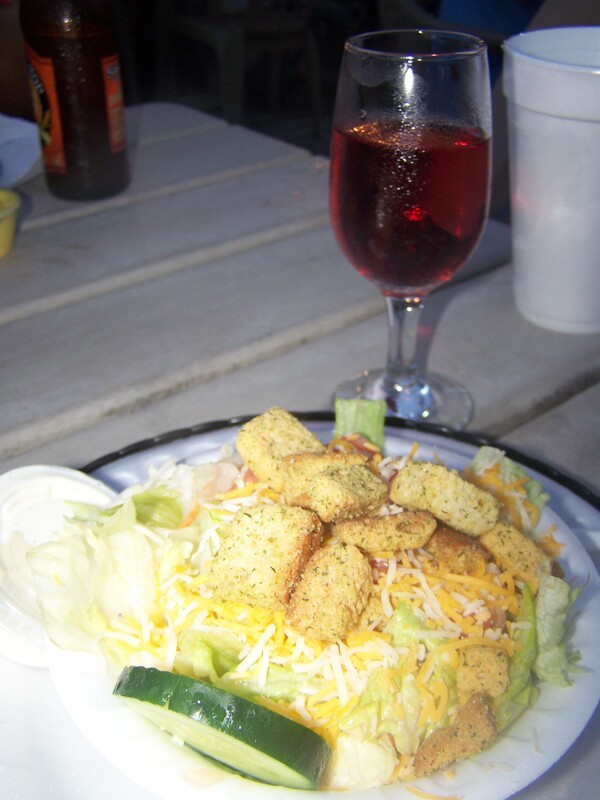 The Blackened Chicken Caesar Salad is a flavorful and light option. My staple: Shrimp & Grits. The BBQ Sandwich is served with a vinegar based sauce and Gnat’s signature battered fries. Gnat’s is my all-time favorite spot for lunch in the ‘Boro. My friends and I call it “Ol’ faithful.” Nowhere else in town offers lunch for $7.47. Spending $15 going out to lunch can get expensive, and unfortunately, that’s easy to do in a lot of places when you consider tax and tip. I have two lunchtime standbys at Gnat’s and they never fail me: 1) Shrimp & Grits and 2) the Crab Cake Sandwich with Sweet Potato Fries. The food is always on point. 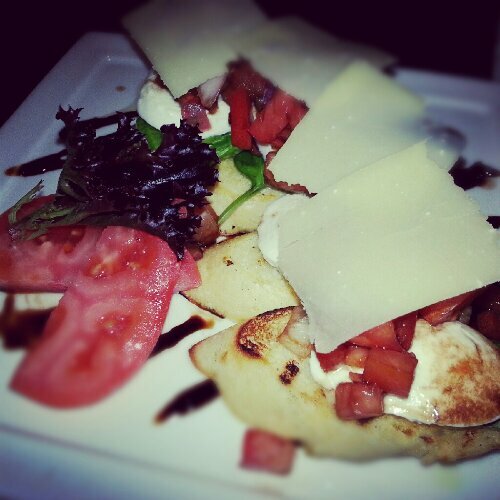 The Shrimp & Grits is served with andouille sausage and bacon surrounded by toasted bread. Seasoned just right, it’s warm, comforting and takes me to the coast. Served with cocktail sauce, the Crab Cake Sandwich features a large crab cake that’s seared to perfection and served on toasted bread with tomato and lettuce. On occasion, I branch out and try something new like the BBQ Sandwich or the Blackened Chicken Caesar Salad pictured above. 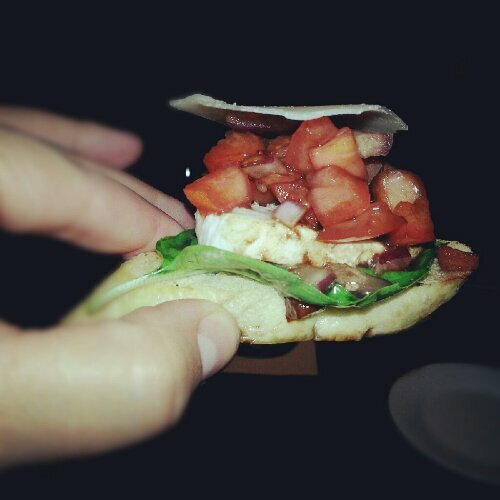 The menu also offers wraps, a great grilled chicken sandwich and unexpected side options like grits. I enjoy the cook’s attention to detail and presentation…they always sprinkle the rim of each dish with Parmesan cheese and fresh herbs. 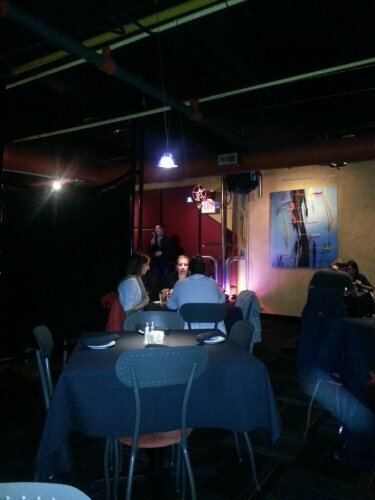 Seating includes booths and tables with checkered flooring. Beer cans from around the world decorate the walls secured behind chicken wire. Open more than seven years, Gnat’s Landing of Statesboro is one of only two locations in Georgia. 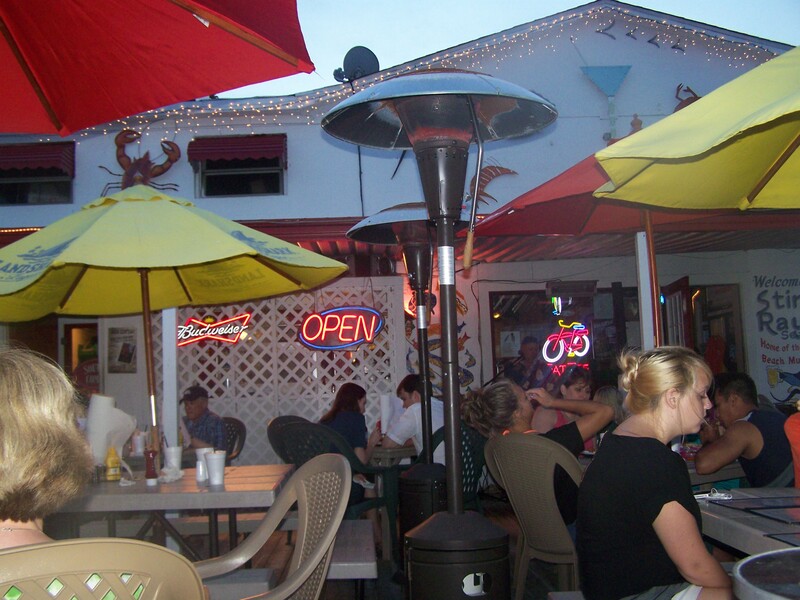 I’ve also visited the St. Simons Island restaurant in Red Fern Village. Though the weather is rarely cold enough to use it, Gnat’s dining room in Statesboro even has a fireplace which creates a wonderful ambiance in the winter. 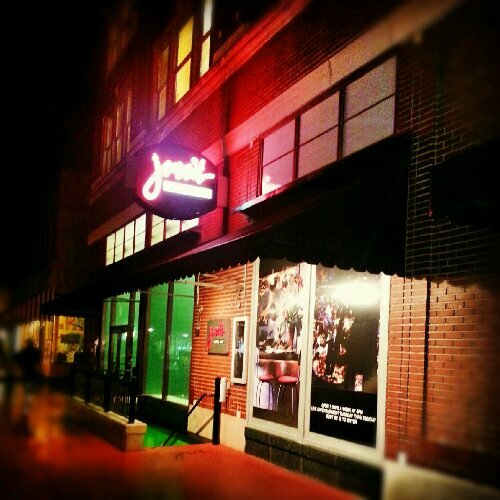 Located on South Main Street in the heart of town, the restaurant also offers ample parking. Depending on when you go, the environment at Gnat’s is bustling. Visit for Trivia on Tuesday nights, Karaoke on Wednesdays and Happy Hour all day on Sunday and Monday. No matter the time of day, they’ll always have affordable drinks, daily lunch specials and a football game on the big screen. 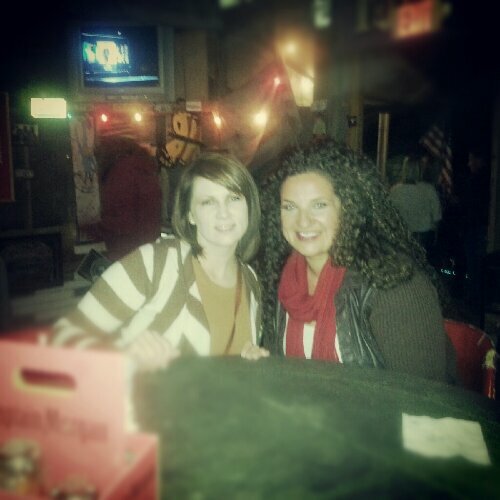 My friend April (right) and I enjoying the Daniel Johnson Band on the dance floor at Gnat’s on a Friday night. 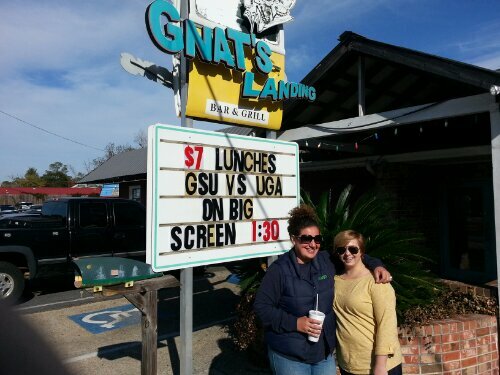 Hanging out on the patio with April (right) at Gnat’s on game day. Go Eagles! A lunch date with my friend Jennifer, and her sweet baby Lily. My friend Tori (right) and I after another great meal! Huc -A-Poo’s Bites & Booze is the epitome of life. It’s where stories are born. It’s the kind of place Pat Conroy and Earnest Hemingway write about in novels. 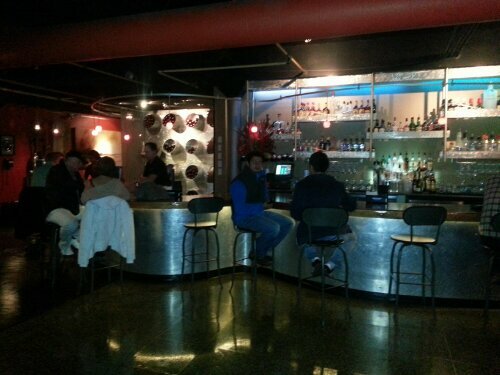 It’s a genuine, local bar with an environment that can’t be created. It’s not store-bought. It’s not forced. No one has a care in the world. It’s a place where nothing matters–what you wear, who you are, where you come from. You can just be. It’s care free, non-judgmental. It’s come one, come all. It’s family owned and operated. It’s the kind of place where time and seasons escape. Laid back. Eclectic. It doesn’t have a website. You won’t find brochures on it. It’s not touristy. It’s unpretentious, unassuming. The slogan on the paper menu reads: Huc-A-Poo’s – Where the Mind and Spirits Meet. I would imagine heaven to have the same vibe. The people in a place make all the difference. It’s the characters who create the atmosphere. These folks along with my friend, April (pictured left above) inspired my experience. 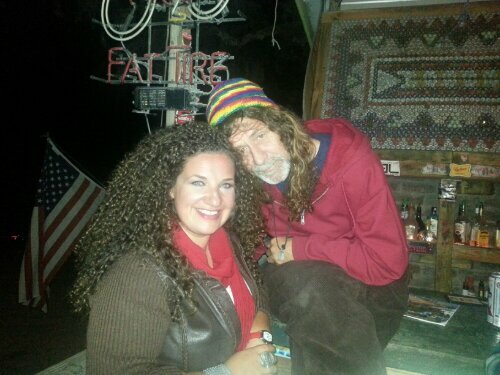 Steven – He wore a multi-colored Beanie hat and liked to call me brat, but oddly, in an endearing way. He said, “My brother owns this place. Wanna meet him?” He led me into the kitchen and I got a behind the scenes tour. Throughout the night, he would look at me across the room and put his finger to his lips and say, “shhhhh.” He wandered from table to bar top, to staircase and his brothers referred to him as Huc-A-Poo’s PR guy. He was right at home. The Bartender – He would pop out from behind the bar and groove to the music, moving from customer to customer bringing drinks, taking checks. He had a beard and obviously loved his job. 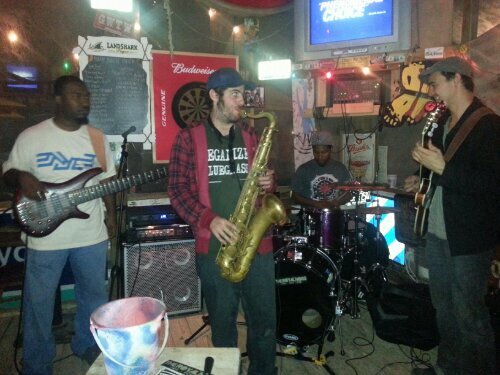 The Band – The Royal Noise: Jazz, Funk, Soul – Each band member bled music. It ran through their veins. They felt every note. They expressed pure passion in a saxophone, a drum set, a bass and electric guitar. It was evident they were born to play. Take a listen. The Staff – A close-nit group of folks who appeared to be all related. They were long-haired, free-spirited and kind with tanned skin worn from the sun. Very welcoming. Really hospitable. No uniforms, they wore whatever they pleased. Shorts, T-shirts, flip-flops, even in November. 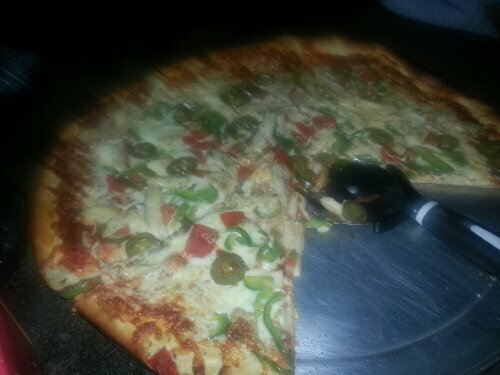 We ordered a $15 specialty pizza – The Federale: Mexican pizza with grilled chicken, red onions, bell peppers, fresh tomatoes and jalapenos. It was massive and only $15 bucks. We’ll get at least four meals out of it from the leftovers! Landshark Lagers with lime slices only made sense to drink. You can order pizza by the $4 slice or a whole pie. Make your choice from 12 different specialty pies or build your own. Wraps, nachos and hot dogs are on the menu too, even low carb salads. The food tasted great, but honestly it wouldn’t have mattered. Nothing on the menu is priced over $7 with the exception of the $15 whole pies, which would cost at least $30 anywhere else. Amazingly affordable. 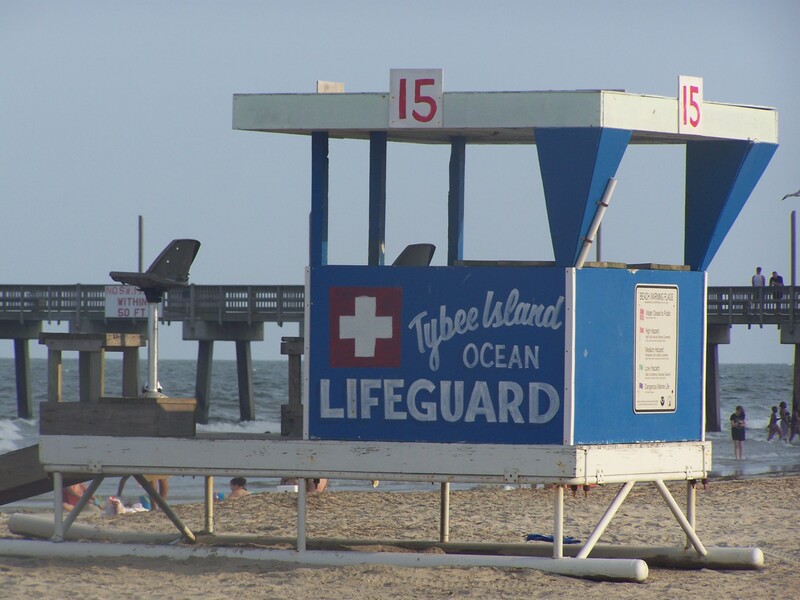 Located in the Tybee Oaks Shopping Center just a few miles from the beach off of Highway 80, Huc-A-Poo’s has over 2,500 Likes on Facebook. Let’s help them get to 3,000. On a Saturday night in early November, the age group ranged from 25 – 60 with the majority of the crowd being locals, others, first-time visitors like myself. With the exception of a young, drunk athlete who tried to eat my face upon arrival, everybody there was awesome. Huc-A-Poo’s combined all my favorite things in one place-Good food and good company, and live music in an incredible atmosphere on the Georgia coast. It’s the kind of environment you happen upon once in a blue moon, the kind of place that has the potential to make me relocate. 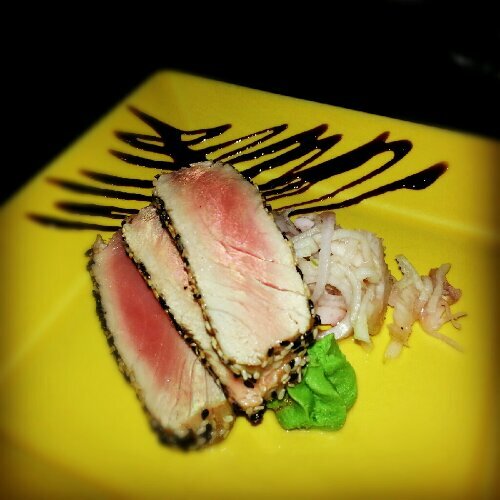 Huc-A-Poo’s is a place that sets the standard, that you’ll continue comparing other environments to again and again. They’ve found a new regular in me. 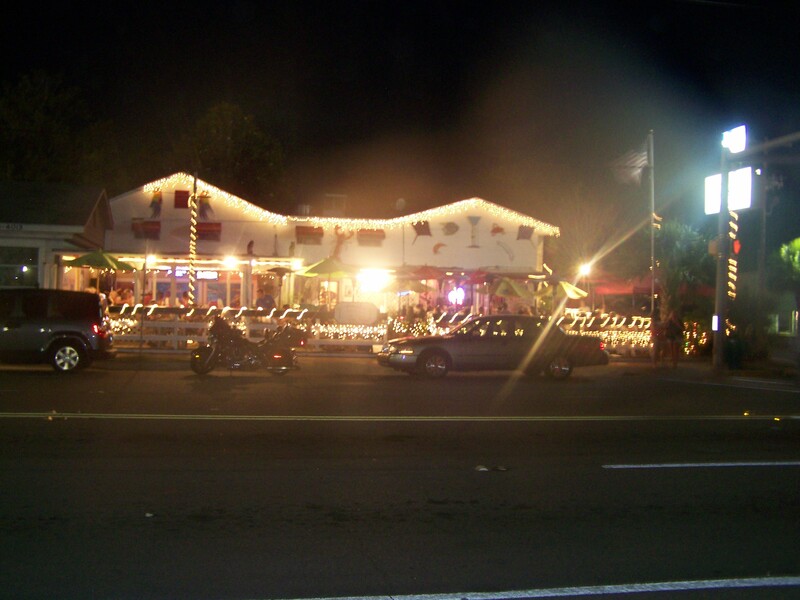 It’s the kind of place you drive by and think, “We have to go there!” Maybe it’s the sound of live beach music that lures you in or the colorful umbrellas and white lights. 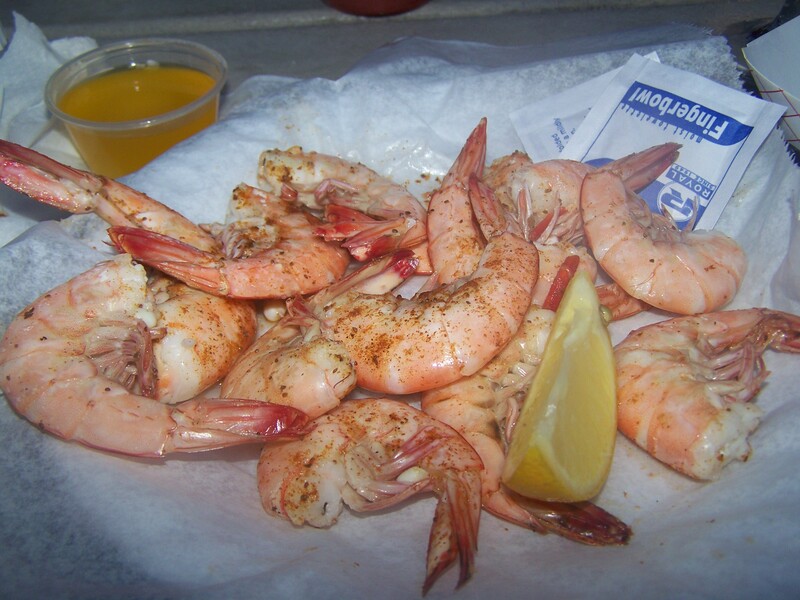 For me, it was the idea of strolling over from the beach, sun-kissed and sandy to enjoy some wild Georgia shrimp on the patio in the ocean breeze. Around 7 p.m. on a Saturday night following a great day at the beach, we joined the crowd at Sting Ray’s Seafood Restaurant located just across the street from the Atlantic ocean. Wearing a little powder and lip gloss, dressed in my swimsuit cover-up and sparkling flip-flops, I ordered a cold glass of white zinfandel and enjoyed the music. 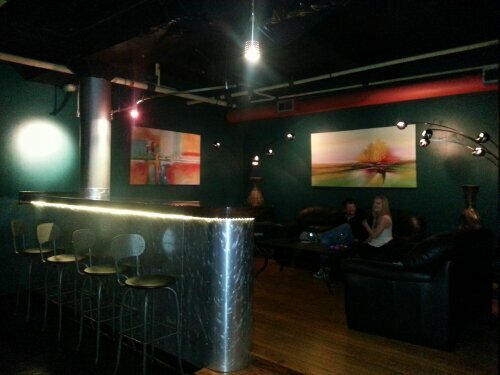 The casual, laid-back atmosphere is such a nice change of pace from the everyday office environment. The menu was full of good food and it was hard to make a choice. 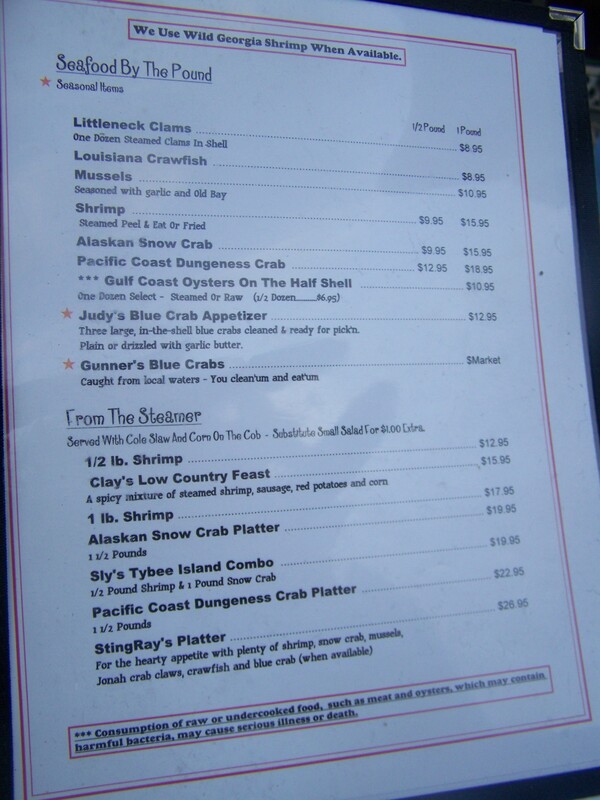 You can order seafood by itself or as a meal, which is great if you don’t have a huge appetite. I ordered a 1/2 pound of steamed, peel & eat wild Georgia shrimp for $9.95 with a house salad. 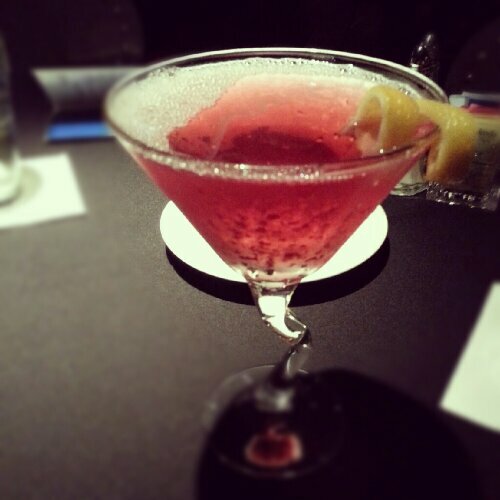 Nothing fancy here-just simple, familiar ingredients with a cold drink. I wish y’all could reach through your computer screen and taste one of these. They were the most plump, succulent shrimp I’ve ever eaten. Served with melted butter and seasoned with Old Bay, the shrimp were swimming in the Atlantic just two days before they were served to me. Fresh at its finest. I squeezed the lemon juice right over the top and dunked them in cocktail sauce. I don’t know this fellow’s name, but he entertained everyone well with classic beach tunes: Sittin’ on the Dock of the Bay, It’s 5 O’Clock Somewhere…you get the idea. Jam on my friend, jam on. 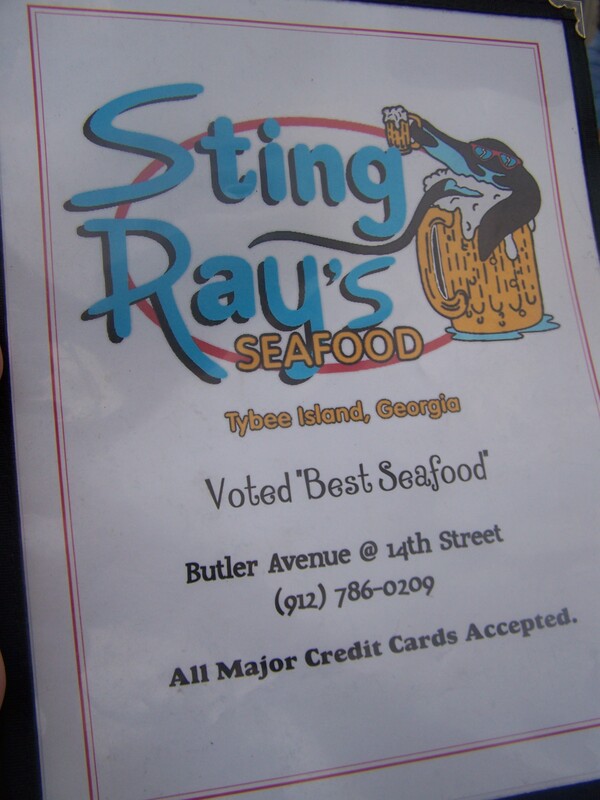 Sting Ray’s sits at the intersection of Butler Avenue and 14th Street. Every table was full but the wait wasn’t long. Who’s counting minutes anyway when you’re on island time? 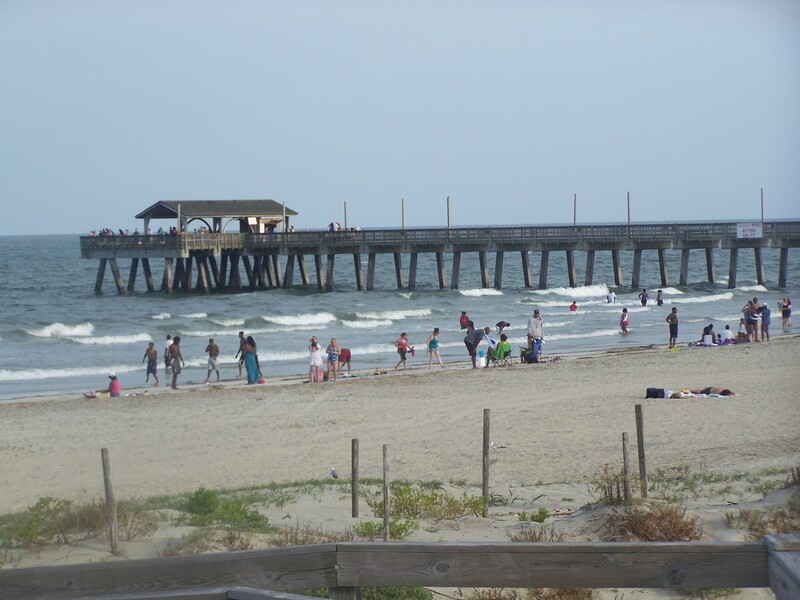 After dinner, we took a walk on the pier to listen to the waves crash and say goodbye to the Atlantic one more time. It really wasn’t goodbye though, only see you later–because I’ll be back soon, and very soon.